Boxing legend who became the undisputed heavyweight champion of the world in August, 1987. 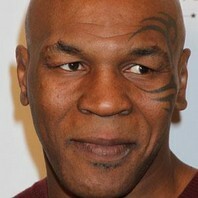 He infamously bit off a piece of Evander Holyfield's ear during a match in 1997. When I was in prison I was wrapped up in all those deep books. That Tolstoy crap. People shouldn't read that stuff. When we read these books what purpose does it serve in this day and time? My objective is to be the ultimate professional. I'm on the Zoloft to keep me from killing y'all.